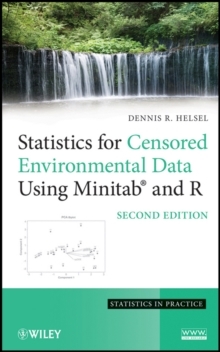 This Second Edition solves a current dilemma that occurs across a wide spectrum of environmental science: how to correctly analyze and interpret censored data (data below detection limits). It adapts survival analysis methods and demonstrates their practical applications when studying trace chemicals in air, water, soils, and biota. This edition features new chapters on plotting data with nondetects, multivariate procedures, and software for data with nondetects, as well as expanded and new sections, including a new section on testing censored data for normal distributions. Environmental professionals and upper-undergraduate and graduate students will rely on this resource.